Dogs long ago captured the hearts of humans and artists with their devotion and playful charm. 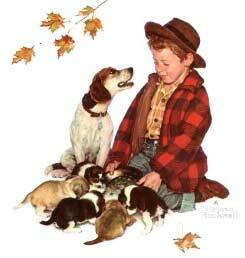 Today, artists from Norman Rockwell to Andrew Wyeth have painted dogs in their art. One of the most famous, and silly, dog paintings of all time is "A Friend in Need." 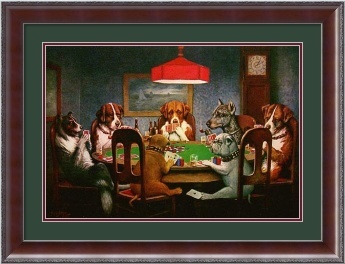 also known as "Dogs Playing Poker". 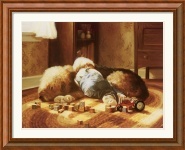 View our entire collection of Dogs and puppy art.